Chess tournaments, for better or worse, don't usually command international headlines. Do you remember those matches in 2013 ~ it was the World Chess Championship between reigning world champion Viswanathan Anand and challenger Magnus Carlsen, to determine the 2013 World Chess Champion, held from 9 to 22 Nov 2013 in Chennai, India, under the auspices of FIDE (the World Chess Federation). Carlsen won the match 6½–3½ after ten of the twelve scheduled games, becoming the new world chess champion. The 2017 King Salman FIDE World Rapid Championship is a 15-round Swiss open taking place in the Apex Convention Centre in the Saudi Arabian capital of Riyadh from 26-28 December. The prize fund is $750,000, with $250,000 for 1st place. The time control is 15 minutes per player for all moves, with a 10-second increment from move 1. The Championships in Riyadh, Saudi Arabia, has become the focus of debates this week on Israeli-Saudi relations and women's rights in the country. On Saturday, one of the best women's chess players in the world, Anna Muzychuk of Ukraine, said she and her sister would skip the tournament as a protest of the country's treatment of women as "secondary creature(s)." Separately, Israeli officials criticized Saudi Arabia and the World Chess Federation, known as FIDE, on Tuesday after seven Israeli competitors were not granted visas to attend the tournament. Saudi Arabia and FIDE agreed to loosen the dress code for the event and allow women to wear high-necked white blouses rather than a hijab or abaya, a loose-fitting robe worn by some Muslim women. That dress code was a first for any sporting event in Saudi Arabia, the organization said. FIDE also said that it had made "ground-breaking special arrangements" to issue visas to chess players from Iran and Qatar, two countries at odds with Saudi Arabia politically. The statement did not mention Israel, however. The happy news is that Indian Grandmaster Viswanathan Anand stunned World No 1 Magnus Carlsen in the ongoing World Rapid and Blitz Championship yesterday. Anand and Carlsen met in round nine of the championship with the Indian on an unbeaten run. Starting with black pieces, Anand began with an aggressive approach. 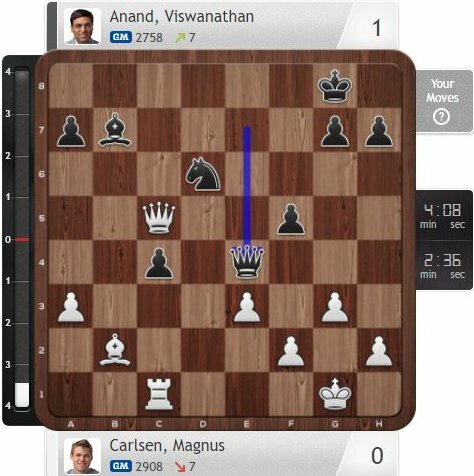 Carlsen was caught off-guard with his approach and faltered to give Anand the advantage. The Indian finished off the match in 34 moves to remain unbeaten in the tournament after nine games. Anand has drawn four games and won five. 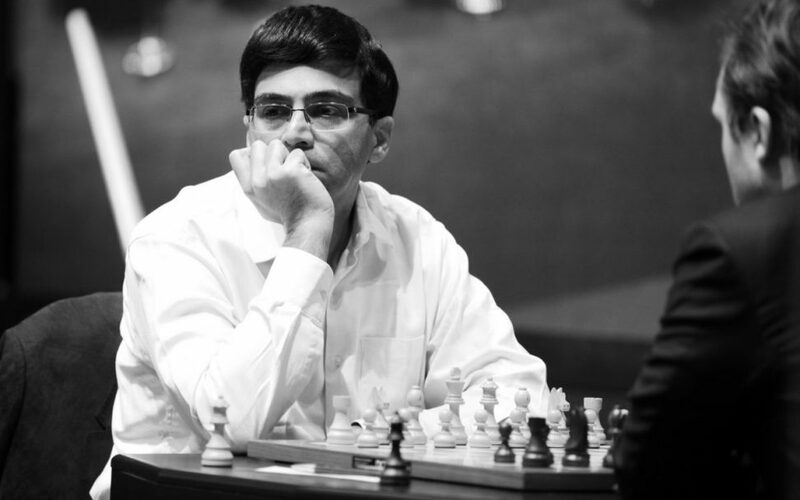 Before facing Carlsen, Anand drew his match against Russia’s Vladmir Fedoseev. Well both of them are really skilled players and I think both of them deserved some kind of a reward. Of course there can only be one winner but that doesn't mean the other guy didn't play well.